The WBC heavyweight championship rematch between top-rated world contenders, Bermane “B. 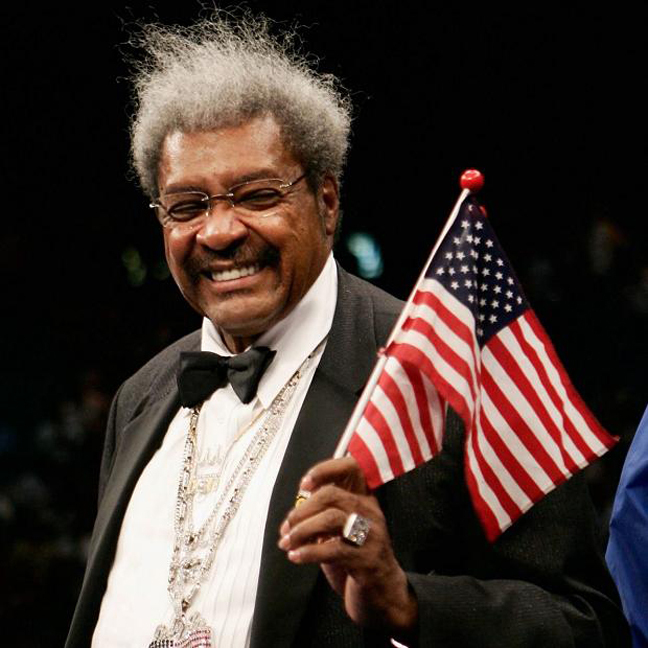 Ware” Stiverne and Chris “The Nightmare” Arreola taking place on May 10 at the USC Galen Center in downtown Los Angeles will be billed as “Fight for Peace.” Hall of Fame Promoter Don King of Don King Productions and Dan Goossen of Goossen Tutor Promotions made the joint announcement recently. “ESPN is in it to win it…and ‘win’ in it they have…hitting a grand slam home run in public opinion in welcoming the prodigal son of the sport of boxing – The WBC Heavyweight Championship of the World Title Event back to America – Halleluiah!” said King. “Fight for Peace” was chosen as an international tribute to the fight for the title previously held by longtime champion Vitali Klitschko who stepped away from boxing officially in December 2013 to focus on the 2014 Ukrainian Presidential Election where he is seeking to become the country’s leader. Stiverne and Arreola previously battled on April 27, 2013 in Ontario, California, with the Florida resident winning a 12-round unanimous decision over the Southern California based Mexican-American who fought valiantly through a knockdown and broken nose, both suffered in the third round. “Bermane Stiverne vs. Chris Arreola fighting for the most coveted crowning ceremony in the world of sports scheduled to take place on May 10, 2014 – as Heavyweights go…so goes boxing! Never has that saying had more relevance than now,” King said. “The only thing I’m thinking about right now is putting my hands on that title,” said Stiverne. Ranked the #2 heavyweight by the WBC, Arreola, 36-3-0 (31 KO’s), returned to action following the disappointing loss to Stiverne with a devastating first round stoppage of top contender Seth Mitchell on September 7, 2013 in Indio, California. “I’m very excited about fighting for the WBC Title once again and having it seen on my favorite television network ESPN. I have a great opportunity to get my revenge against Stiverne and make history in one night and I plan to deliver,” stated Arreola. “Fight for Peace” from the USC Galen Center in Downtown Los Angeles will be televised live on Saturday, May 10 at 8 p.m. ET/5 p.m. PT on ESPN and ESPN Deportes and WatchESPN. Tickets, priced at $300, $200, $100, $50 and $25 (plus customary fees) will go on sale shortly.